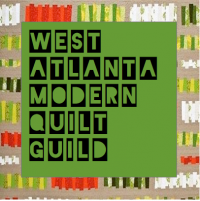 Modern Cozy: Mini Quilt Monday Amy Butler Edition and Sew Mama Sew Giveaway Day! Thanks for sharing the adjusted measurements. This is a really lovely design for a mini and with Amy Butler fabrics it is perfect! This year I have made an advent calendar and am hoping to get a few little gifts like pouches and mug rugs made too. I'm working on a quilt and some pillows. Beautiful work on your quilt! Everyone is getting a pillow! I have two zipper pouches to make. I am loving mini's these days, thanks for sharing the tutorial. I am making a bag for friend and finishing two quilts for my children. My first thought was "What would I do with this". Then I figured out the answer...put it on my table of course. This is such a pretty mini, if I won I would have to show it off. I'm making some table runners and tea wallets for gift cards. I've made mug rugs, pillowcases, and a table runner for Chrstimas gifts this year. I'm working on some quilted pillow covers for Christmas! I have a Herringbone Quilt on the sofa and it features those prints so if I win it would be awesome! Im working on a Super Tote for SSM6 on Flickr! I'm making a table topper and some microwave bowl holders. It's gorgeous, I love the brilliant colors and the nice binding. I'm making zipper pouches for my friends - my first time! So far, so good. I love this ! This year I'm making a lot of potholders. Nothing specific. Just trying to finish some quilts but not as Christmas gifts. this is so pretty. thank you for showing how simple this is. This year because of all the sewing for our sons wedding I am not making many things. I will be making a pin cushion for our sons fiancé. It will have the materials from her wedding dress and his wedding shirt. They are both sewers for civil war re-enactors and them selves. i love everything Amy Butler, great mini, i love love love the colors. I'm currently working on a chevron quilt, my first chevron (zig zag), i'm just praying i don't mess it up. I'm sewing up non-slip headbands for a bunch of friends and sandwich bags for their kiddos. I'm also crocheting an infinity scarf for my 5 year old daughter. What a gorgeous mini!!! Unfortunately I am not able to make any gifts this year but hope to next year. Many thanks for sharing with us! I am working on a wardrobe for my daughters american girl doll Christmas gift. This is so pretty! I'm making some simple bags. This mini is so cute, I love Lark. This year, I have been making pouches as gifts and a few fabric baskets for myself. I've never been to your blog, but I'm glad I did. This little quilt is so sweet. I love it. This year I am only making ornaments for my adult kids, and even that is questionable if I don't get a move on! I am making potholders and wrapping little spatulas in them to give to friends. I love the Amy Butler mini quilt. This is great! I'm making myself a Christmas quilt! Unfortunately, no sewing going on this year...maybe next year there'll be time for a red and white Christmas quilt for ME! This is a beautiful mini quilt! I'm not making much this year (sad face!) because my sewing supplies are storage while we are in the middle of a big move. I am hoping to still sneak in an embroidery project I had planned though! I'm sewing a couple of the reindeer table runners from Fat Quarterly! I'm making a quilt, an ipad sleeve, no-slip headbands and maybe a stuffed cat! Your little quilt is so pretty! This year I am giving everyone a clear glass mug fill with cocoa fixins, and making coasters to go along with them. So far I have made 7 coasters by embroidering a design and then just adding a border and backing from my stash. I am out of unique embroidery designs I want to use though, so I might piece the rest. Still deciding! And if I have time, I think I will make some drawstring gift bags to put them all in. I am making a hideously ugly shirt for myself. It is going to be so rad! Been sewing and crocheting like a mad woman. I love this mini quilt. So quaint. Fingers Crossed. I follow you on Bloglovin. Happy Holidays! TYCC! I am in the midst of making 4 quilts as Christmas gifts--after I'm done with this flu, I'm hoping to get back to them! Merry Christmas! I'm sewing quilts and knitting hats! I am making a quilt for my youngest daughter and a mini quilt for my older daughters favorite stuffed bear, a special request from her! I am making everything from princess dresses to walker bags! Gorgeous fabric! Nicely done. I'm finishing up a quilted Frozen pillow cover for my niece for xmas! I am sewing pj's for my kids!! I love this - I didn't know this technique before. I'm only making one present this year and that's a quilt for Chief - I've raided my stash of most of it's birdie fabrics to do it! I'm just at the quilting stage. What a beautiful quilt! I'm working on some Anna and Elsa dolls for my girls! So very pretty. Thanks for the chance to win. I love Lark and just gave my queen sized quilt away as a wedding quilt made with it! I have been making a few Sew Together bags, ornaments, and zip pouches for gifts. I am trying to finish up Christmas stockings, don't no if I will get them done. All done sewing for gifts, I made table runners, lap quilts, and drawstring bags. Now I'm sewing for me! Thanks for sharing how you did this. I met Amy Butler at an Ohio sewing shop a few years ago. I love her fabric and bag patterns. I have made some Noodlehead pouches, and I'm working on a Noodlehead fabric basket and two insulated grocery bags...all gifts. Thanks. What an awesome mini! So colorful and fun! This would look super in my sewing room, hehe. My fingers are crossed! Oops... Forgot to answer. I'm making some pillow cases, table runners and zippered pouches. Tote bags seem to be my project of the year! I'm cross stitching a sampler from Frosted Pumpkin for Christmas! Made a few baby bibs and that is it. Thanks for a great giveaway. Table runners, pot holders & baby bibs! I haven't really started making gifts. I am completely behind on birthday gifts and baby gifts for events that happened months ago. I'd love to be making the last minute Chrismas Sampler though, such cute paper pieced patterns. I'm working on a few gifts now and hoping I will get done in time! Thanks so much for the beautiful giveaway! I'm sewing a toddler backpack with wolverine as nd x-men fabric for my best friend's daughter. I'm still planning on finishing the play house for the kids. Still not done, hoping to finish it for Christmas now. This is gorgeous! I'm sewing small things. Working on embellishing some tea towels right now. Thanks for the chance to win. This is gorgeous! Thank you for the tip to Maureen's tutorial and your own info on sizing down! I've been sewing bags for gifts. Thank you for the chance to win!! Beautiful! I have several small projects in the works.